You will be able to use your PayPal account to pay for your iTunes content, App Store installs, Apple Music membership, and iCloud Storage plan. There’s a new way to pay for your iTunes digital purchases: PayPal. Apple has added PayPal as a payment option to the iTunes Store, App Store, iBookstore, and Apple Music memberships. You can link your PayPal account to your Apple ID and use it to pay for apps, music downloads, movie rentals, and other content and services, like upgrading to a paid iCloud Storage plan. Here's how to do it when it becomes available. Tap/click here to sign in to iTunes using your Apple ID or Touch ID. Go to Payment Information and tap on PayPal and then Account. Follow the steps to authenticate your PayPal. After it’s confirmed, all future purchases will be charged to your PayPal account. Once your PayPal account is linked to your Apple ID, you will be able to use PayPal’s One Touch feature to make purchases quickly and securely on all your Apple devices, including Apple Watch and Apple TV. Previously, the only way to pay for Apple digital purchases was to use a debit or credit card, or use an iTunes gift card. Now you don’t have to share your banking or credit card info with Apple if you don’t want to. 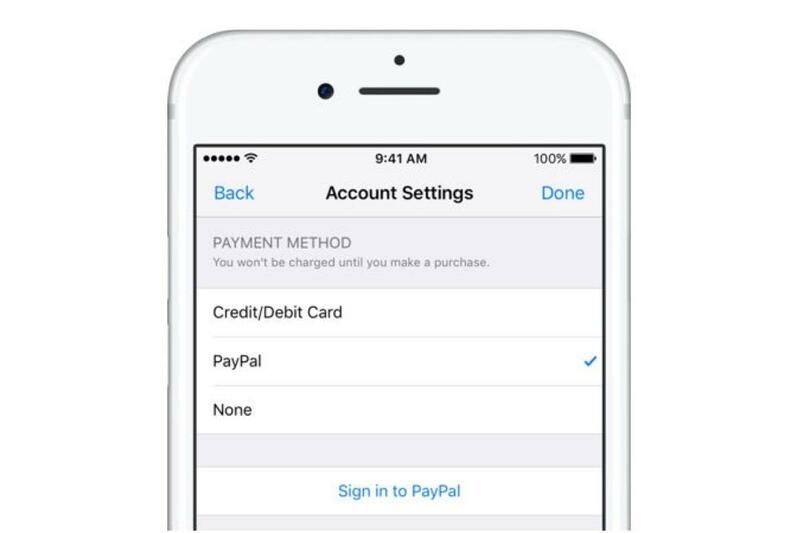 In addition, you can use PayPal to download apps that are not available in your country or region, as PayPal does not share your bank and credit card information with Apple. PayPal support is launching on Wednesday in Mexico, Canada, Germany, the Netherlands, and the U.K. PayPal says it will be launching in other regions in the coming weeks, including the U.S.